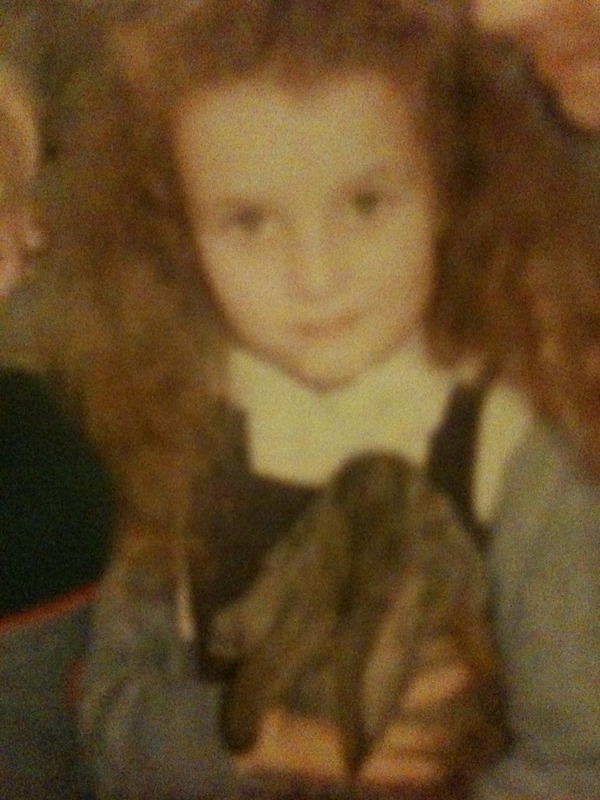 We had 8 rabbits at one point. Daisy who was a huge lop had a litter of kittens. You can see them in this picture. 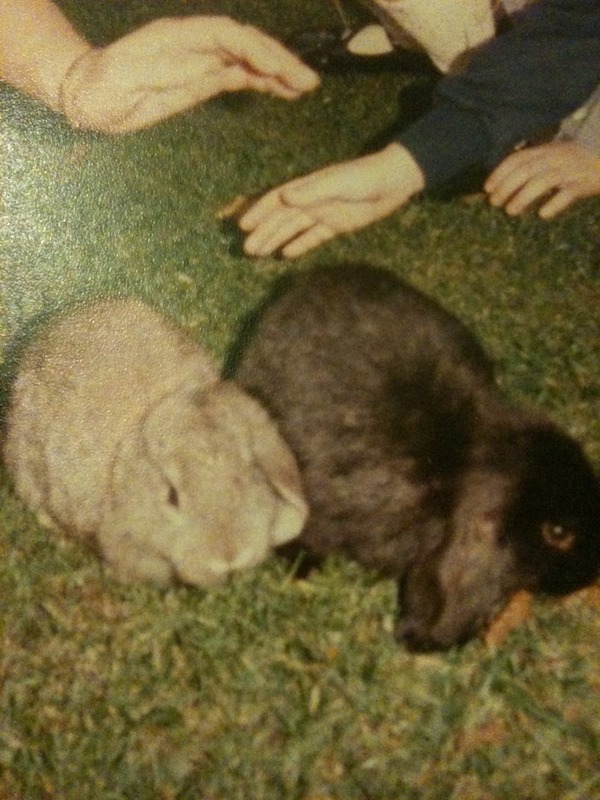 One day we came home from school to find the baby rabbits running all over the garden: they’d got through a hole in the run. I ran around to scoop them all up, my mother a bit frantic as she doesn’t really like small animals & Luke too small to help. 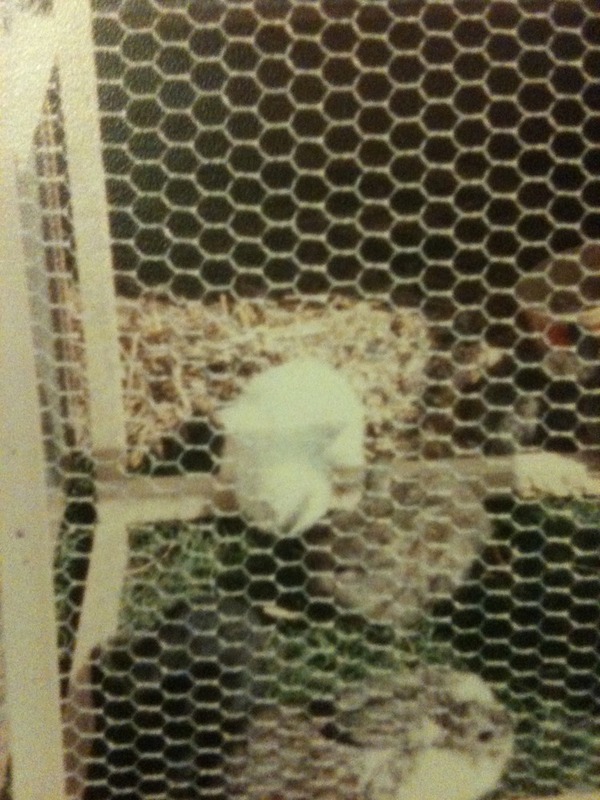 We found them all except the smallest albino rabbit, my favourite of course, which I’d called Minty (pictured). I cried my eyes out. A while later my dad got home from work and we set about looking for Minty. We eventually found him after nearly giving up hope under a piece of corrugated iron in the alleyway behind our garden. I wrote up the story for a school report and got a merit for nearly spelling corrugated correctly. A strangely grown up word for a 5 year old!